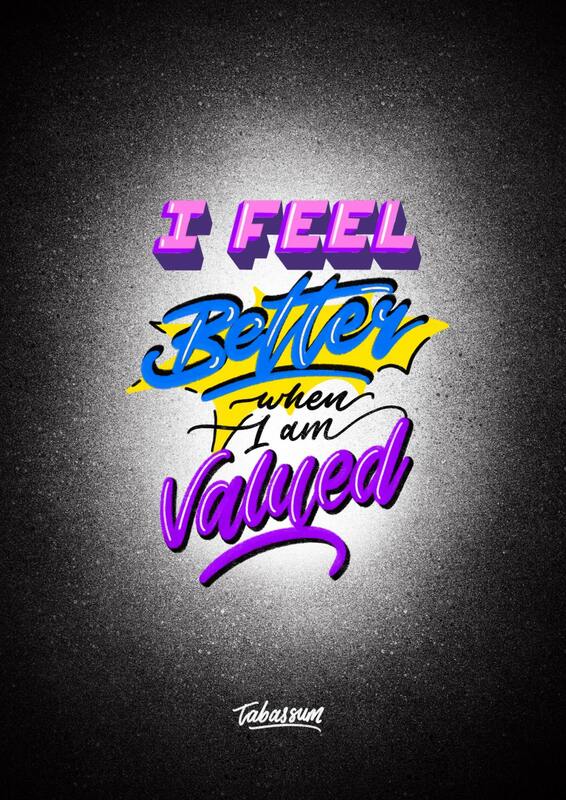 I feel better when I am valued. A digital hand lettered piece. Created on an IPad using the Apple Pencil.